From day one you need to be realistic about your budget, once this in place everything else becomes a lot more manageable. By being honest with yourself and what you can afford, you can make sure that you have your priorities right. Perhaps the most important element is the food, or the venue, or your dress, once you’ve set a budget you know where to focus. With weddings there are a lot of things to maneuver, seating plans, guest lists, food, and those are only a few of the topics up for debate, as a couple you will have to compromise to make everything work together, it may be that a specific number of guests is set aside for each of you, or that you have two menu options for each course. ####Do...choose a colour scheme This makes things a lot easier in the long run, having a colour palette to focus around stops you from panicking and buying lots of excess decorations. It also means that the bridesmaid dresses and groomsmen can be ticked off the list quickly. Your flowers can be chosen and booked in with a wedding florist like David. This might sound simple, but wedding documentation can be confusing, there are certain dates when everything has to be submitted, this can be more or less complicated depending on the type of ceremony that you are having, religious, civil or an alternative blessing. Find out what you need to do and when, then put all your documents together in one place. If you remember this little fact, it’s about you both, no one else, then everything will fall into place. It’s easy to get caught up in the stress and we all know that budgets in particular can be a major strain, always remember it’s about getting married to the person you love. The best “Do” if you can, is to hire a Wedding Planner such as David. Why? Because it takes away all of the stress. All you have to do is sit down, talk about your hopes and dreams for your wedding, set a budget and let the wedding planner do the rest. 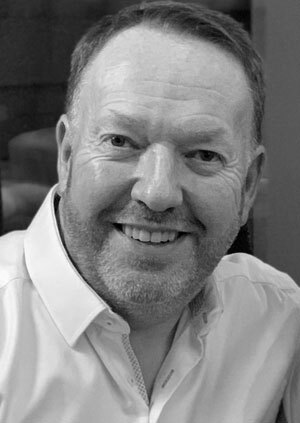 David, for example, prides himself on his insider knowledge and fantastic relationships with suppliers, making sure that your budget goes the extra mile. 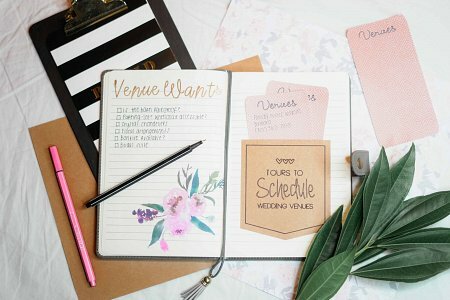 When you first become engaged, it’s easy to get swept up in the excitement and run into everything headlong, appointments with venues, dress shops, catering, florists, before you know it you are up to your eyes in quotes, designs and information. This is when the panic sets in and you can’t see the forest for the trees. Once you start buying bridal magazines and trawling through wedding blogs and websites it’s easy to start getting carried away with all the trends. Rose gold, bohemian, rustic, there a huge number of different looks you can go for. But before you get lost in the choices, sit down and sketch out what your dream wedding looks like, not what’s on the cover of a magazine. There you have it, some Do’s and Don’ts of wedding planning, David offers a full wedding planner service in Northern Ireland, providing his couples with a tailored service designed to work around them. If you would like more information, get in touch today!